What is A Unit in Life Insurance? Despite growing most phenomenal, unit-linked life insurance is not uncommon for controversy and debate. In addition to the unit link is quite advanced, understanding about the benefits and risks of this product is often less precise. Lack of understanding at risk of selecting a product. Plus, this friend just received a letter from the insurance company that tells him he should add funds (top-up). The insurance has a health facility that will stop if he does not deposit the top-up. "I am short of funds, eh this even asked to add funds, my groggy", he said. "In fact, I never forget to pay a basic premium", he said to close vent. I asked for copies of the policy to be studied. After reading carefully, I asked him "do you understand the benefits and implications of this product?" He said, "Well that was the agent who explained, I have forgotten the details. What I remember, this product gives a high return ". Well you know! My conclusion, this friend does not understand the benefits and risks of unit link products. The end, yes like this. The complaint is not necessary. The possibility of this situation can be predicted from the beginning, if he read and understand the policy well. Before buying a product, we should understand the benefits and risks. When buying gadgets, generally we are very detailed. Research carefully for its features, comparing all offers with care. In fact, it is a gadget that the oldest 2 or 3 years, and if one chose too, the effect is small for our lives. Especially if you buy insurance products. Insurance is used not only a year or two, but 10 to 15 years into the future, and if one chooses, the effect is great for couples and children. Items must be understood before they are purchased. Definition Unit Link is a life insurance company product that marries the function of protection and investment. In the financial plan, investment and protection are two things must be owned. - Investation. Investment is needed to achieve financial goals, such as education funds and pension funds. Without investment, financial goals are hard to achieve because relying on savings, low interest rates, will not be able to keep up with prices (inflation). - Protection. Protection protects you from risks, for example, death, permanent disability and illness. If the primary breadwinner is sick, disabled or dies, the investment stops. Children are threatened can not go to school. The wife or husband may not be able to retire properly. Therefore, it needs protection, so that investment can continue to run even though the main breadwinner experiencing disaster. By purchasing a unit-linked product, you get investment and protection all at once. No need to bother anymore. Everything is one package. Unlike traditional insurance or term life insurance that only provides protection benefits. There is no investment benefit in traditional life insurance. Link units offer many investment options with varying return potential, from low to high. There are many instruments, such as stocks, bonds, mixes and money markets. That's why unit-linked products are attractive because they offer returns well above savings or deposits. However, the prospective customer must understand that in unit link risk is borne by the policyholder, not by the insurance company, not by the agent. In addition to attractive product features, there are conditions society that encourage this product to grow and develop. The fact that public insurance awareness is still weak (only 10% of people have individual insurance). I experienced how difficult it is to invite friends, blog visitors, to buy insurance. Offering insurance alone is difficult. It's a business of rejection, says a friend in insurance. However, when offered an investment, the community is easy to receive and the end buy. Probably because in the investment, the profits are clear. There is a 'tangible' benefit, in the form of money that can be taken. Meanwhile, insurance is still considered money 'charred', lost without benefits (although this way of thinking is 'totally wrong'). With these conditions, for an insurance company, it is easier to sell products that are mated with investment. Do not sell insurance products only. How does unit link work? For simplicity, I use the water illustration in the bucket below. Hopefully more clarify the point. - The premium you pay goes to the investment instrument you choose, which then generates the Policy Value. However, before that, premiums were deducted to pay a certain amount of costs, especially acquisition costs in the early years. So, the portion of the incoming premium as an investment is nett the fee paid to the insurance company. - Policy Value, which is the result of investment, is money used to pay Insurance Fee, Additional Insurance Fee and Administration Fee. Thus, insurance protection is paid from the investment proceeds. From here, we can see that cost cutting in unit link is done in two ways. First, direct premiums are deducted to pay for acquisition costs (only in the first 5 years). Second, the investment value is cut regularly to pay for insurance costs (for life policy). - After paying all these fees, the rest is the value of the policy or cash value, which can be taken by the policyholder. This is a value that can be availed for education funds or pension funds. - As long as the value of the policy is sufficient to pay the fee, insurance protection remains active. If the value of the policy is not enough, auto insurance protection stops, often referred to as a lapse policy. Before the lapse policy occurs, the insurance company will ask the customer to make additional funds (top up), pay again outside the regular premium paid. - So in unit link, the value of the policy is the point of importance. Therefore, it is necessary to understand what affects the value of the policy. First, the amount of funds coming from the payment of basic and second premiums, investment return performance influenced by selected instruments (stocks, bonds, deposits etc.) as well as the ability of investment managers to manage funds. Remember: there is no guarantee of return or investment return on unit link. The risk is borne by the policyholder. If you receive an offer from an insurance agent that promises certainty of return on investment, the agent can be ascertained inconsequential. - How to detect a life insurance proposal there is a link unit or not? The easiest, check whether the insurance offers an investment. See if there is any future investment value or cash value that you can use, and its value is not guaranteed or the risk is borne by the community if it is a unit-link insurance product. 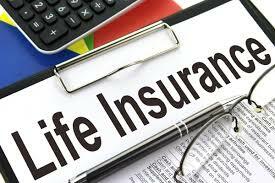 Life insurance companies which are famous for selling unit - link are Prudential, AXA Mandiri (joint venture Bank Mandiri and AXA), Allianz, Sequis Life and Manulife. The current trend is precisely the insurance companies are competing to offer unit links and slowly leave traditional life insurance (pure). Why Unit Link become the most phenomenal growth insurance product? Definitely because it has a better benefit than other insurance products. Ease is the most important benefit. First, paying a premium has already gained investment and protection function. No need to take care of own investment. The insurance company will arrange everything. This convenience helps those who do not want to complicate with the Mutual fund investment process. I talked to a lot of friends who chose link units because it made it easier for them to invest. Although there are online Mutual Fund transaction facilities from a number of banks and investment managers, Mutual Fund transaction access is still not spread, especially in cities outside Jakarta. Meanwhile, investment in insurance has many conveniences, such as payments via ATM transfers, auto-debit and credit cards. Second, no need to bother processing, searching and managing investment. A wide selection of investment instruments, managed by a professional Investment Manager, has been provided by unit link insurance. Customers just choose according to the risk profile. Monitoring reports on monthly investment developments are sent to policyholders. Thirdly, Unit Link offers a range of additional insurance (riders), such as health insurance, permanent disability, critical illness and others. That way, customers do not need to be bothered again, looking for own additional insurance. Everything kumplit in one package. Stay comot, want what rider. One of them is a health insurance rider who can protect until the age of 80 years. Traditional health insurance has not been able to provide protection until this age. Maximum oldest at the age of 70 years, it also needs re-approval of the insurance (not automatically go forward). This is a distinct advantage for unit link. Fourth, in certain cases when a small premium, eg under 500 thousand, traditional insurance is difficult to be combined with mutual funds to obtain optimal results because there is a minimum premium in traditional insurance that makes the portion of investment becomes very small so the result is less than optimal. Under these circumstances, more link units can accommodate circumstances as they receive a lower minimum premium for investment and protection. Fifthly, the financial literacy rate of our society is still low, as indicated by a number of surveys. Therefore, to educate the public about investing in Mutual Funds is not an easy matter. I have experienced how difficult it is to explain Mutual Funds to many people, especially because many are allergic or scared, assuming financial products are complicated. In this condition, the link units present offer convenience. The investment learning function is taken over by unit link. It's good or not, I do not know, but it's a reality on the field. Unit Link Life Insurance is a fairly advanced insurance product. This product is complex because it combines elements of investment and protection, with fairly complex calculations. Unfortunately, many customers do not want to read proposals and policies to understand the link unit features. Already the product is quite complicated, the customer is reluctant to read again, we can guess what will happen. I try to summarize the experience and analysis of unit link proposals. What features should be understood, before buying or when you're 'upset' looking at unit link performance. In its development, insurance has many types and benefits that we can adjust to our needs. This is a positive progress, where we as consumers can choose and use the type of insurance that really suits our personal needs, so we can get the maximum benefit on the use of the insurance. One of the most widely marketed insurance products by insurance companies is unit link insurance, it is a leading insurance product that also has enough users. Unit link insurance is different from other types of insurance products, where these insurance provide two benefits at once, namely the benefits of protection and investment benefits. Unit-link life insurance is a modern life-packaged life insurance product, where we can get life insurance protection benefits with investment benefits as well. In unit-linked life insurance, we will get investment benefits, because basically the premium we pay to the insurance company will be used as investment capital. With so can be sure that unit link life insurance is closely related to the condition of the money market and the stock market. This could be an advantage for us as a participant, but of course it also has a number of very high risks, especially if lately we are looking at the unstable global market conditions. In practice, unit link insurance will allocate the premium funds we pay into various investment instruments that we agree on. That way, we will have the opportunity to benefit from the various investments we have made. Usually the insurance company will give us the freedom to choose and decide for ourselves where our funds will be invested, we can choose one or two as well as investment instruments, such as equity funds, mixed mutual funds, or fixed income mutual funds (market money). Unit link is a product that is closely related to the capital market, therefore the handling of this product is quite complicated and will require a special understanding that we can ask directly to the insurance company. It would be very risky if we do not have a sufficient understanding of this from the beginning, because we could lose and even lose money if at any time the stock market down. For that reason, it is very important for us to inquire in detail about all sorts of information and also the risks that we must bear due to the investment that we do in unit link. Although insurance companies usually explain the risks and all the consequences that we will bear in unit link, but in reality in some cases found many insurance companies that do not fulfill their responsibilities properly, so that customers feel confused and suffered losses due to lack preliminary information obtained. Unit link insurance has various types of additional insurance (rider) that we can choose and adjust to our diverse needs. This of course will be very easy and practical because we do not need various types of insurance and just use a single unit of links for all our needs. But one thing that we should be calculated from the beginning is the amount of premium we must pay due to the rider in the unit link that we use, because the use of the rider will always be coupled with the addition of a premium. Unlike pure life insurance, the premium link units that we pay will not be burned, and can be disbursed if at any time we need it. 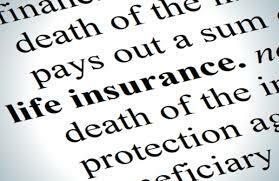 This is of course quite profitable, because the pure life insurance will apply a system of charred premiums if it turns out that the risk is not covered until the insurance period has been completed. Unit link insurance also offers long coverage period and even far beyond the coverage period specified in pure life insurance. In unit-linked insurance, the insured can get coverage for 75 years, 80 years, or up to 100 years. This insurance period will be adjusted to the respective policies applied by the insurance company. As we know, unit link insurance is an insurance service that consists of protection and investment benefits. We can get both benefits at once, by simply paying a premium to the insurance company we use. That way, not only protection against the risks that happen to us alone, but in this case we will also get some benefit from the investment that we do. Often we experience confusion and fear when we have to invest in a particular investment instrument, this can happen due to lack of our knowledge of the investment itself. But with unit link, we will get the ease and comfort in investing, because the investment we do in unit link will be handled by professional experts who come from the insurance company that we use. That way, we do not have to worry and confusion about investment, we can also get detailed information about everything by way of asking it to the insurance company. Unit link insurance is a flexible insurance and allows us to add funds or withdraw funds. We are also given the ease to divert our investment funds to other types of investments provided by the insurer. In unit-linked insurance, the term is known premium leave facility. This facility allows us to temporarily leave in paying the premium that becomes our obligation as the insured. But in this period, we can still benefit from the insurance policies we use, including getting a variety of other information that is rightfully ours as a unit linked user. Unit link is basically an insurance service that aims to make protection, and this is the main function of this insurance. Given this, it is certain that the investment benefits in unit link will not work maximally, where direct investment will provide far greater benefits when compared to the benefits we get from unit link investment. Unit link insurance applies a much higher premium amount when compared to pure life insurance. This can even multiply in number. This high premium can occur due to the investment function contained in unit link insurance, where basically the premium fund that we pay is used as an investment fund by the insurance company that we use. Although it offers investment, but basically unit link insurance does not have a guarantee of return on investment that we do. This is potentially very harmful, because although there is no guarantee of profit from the investment we do, but all kinds of costs arising from the investment is fixed and we must pay. When compared with pure life insurance, the value of the protection provided by unit link insurance is much smaller. This is inversely proportional to the amount of premiums and fees we have to pay, where pure life insurance actually offers a much lighter premium amount when compared with unit link life insurance. Although premium payments in the unit link are fixed until the coverage period is over, the actual cost of insurance set by the link unit will increase every year, and this will not be shown in the insurance proposal. Link units will provide us with both insurance and investment services. But as a prospective user, then we must have a clear calculation and understanding of the purpose of using this service, and the main thing that we must calculate is the purpose of investment and insurance that we will do.